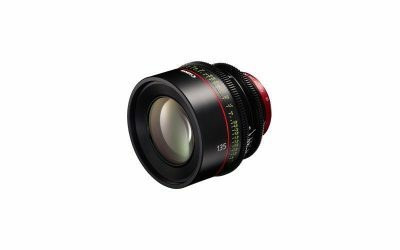 Part of Canon’s range of EF Cinema prime lenses, the Canon CN-E135mm T2.2 L F EF is a lightweight, compact fixed focal length lens designed for EF mounts. It offers spectacular 4K image quality and a full frame image circle plus great low light performance and fine creative control over focusing and depth of field. The Canon CN E135mm T2.2 L F supports shooting in low light conditions and provides fine control over depth of field. The Canon CN-E135mm T2.2 L F lens is designed for use with EF mount cameras with either full frame 35 mm or Super 35mm-type sensors – perfect for Cinema EOS cameras as well as Canon’s range of EOS DSLRs. Contacts on the EF mount facilitate communication between camera and lens for recording of metadata, and other functions.